Increasing numbers of dairy cow are driving farming's greenhouse gas emissions, though other key sectors fare worse, the latest data from the Environmental Protection Agency (EPA) shows. 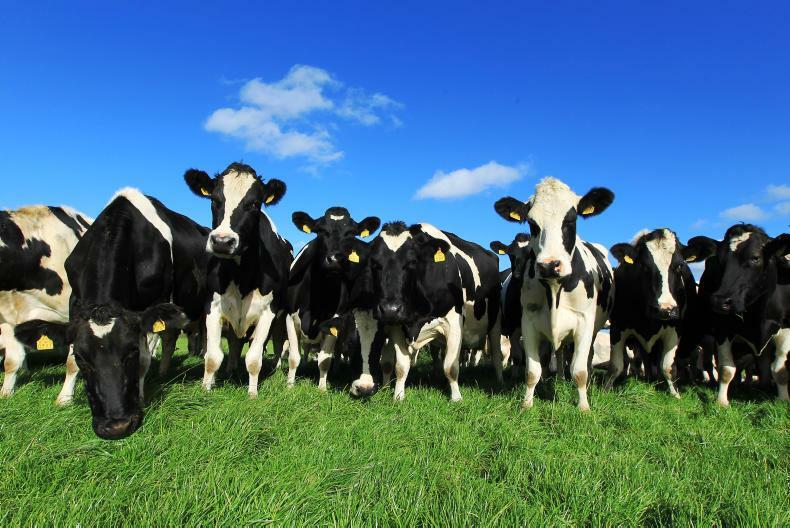 Growing dairy cow numbers are the main source of increasing greenhouse gas emissions from Irish agriculture, according to the EPA. Greenhouse gas emissions from Irish agriculture grew by 2.7% last year, following a 1.5% increase in 2015. “The most significant drivers for the increased emissions in 2016 are higher dairy cow numbers, (+6.2%) with an increase in milk production of 4.4%,” the EPA reported. Other sources of increased agricultural emissions, although smaller in volume, showed faster increases, such as spreading lime (+8.4%) and urea (+26.5%). After a steady decline from 1990 to 2011, emissions from agriculture have now increased for four of the past five years, according to the EPA. While farming remains the largest source of greenhouse gases in the country, the other two main contributing sectors showed faster-growing emissions. Those from energy generation grew by 6.1% and those from transport by 3.7%. Overall, Ireland is now just in line with its European emission target for the so-called non-ETS sector, which includes agriculture, transport and home heating. If confirmed, the existing trends would see the country miss its targets from this year as we approach the 2020 deadline and associated financial penalties. While he blamed the expected missed targets on the “bad deal” done when obligations were agreed at EU level for 2020, Cooney said that the millions of euros expected to be paid in expected fines should instead be directed towards an immediate “climate activation programme”. The programme includes five points recently detailed in the Irish Farmers Journal by IFA president Joe Healy, including the re-opening of GLAS and development of tools such as smart farming and the carbon navigator, as well as forestry, biomass and solar energy incentives for farmers.